Move heavy plant containers and pots up to 500 lbs. in weight with this 20" Black Plant Caddy / Caddie. This plant container / pot mover can be used both indoors and outdoors to allow for the easy transport and rotation of your heavy plant containers and pots. Just place your heavy plant container or pot onto the Plant Caddy and you will find it much easier to move, slide, or rotate it wherever you wish. 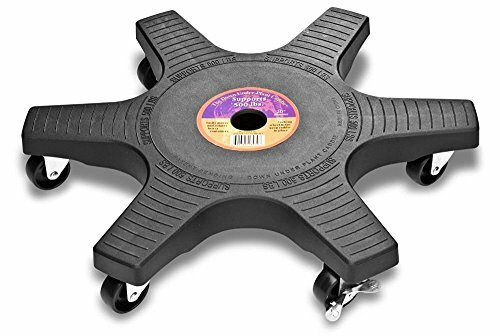 Its 6 nylon caster wheels will not scratch your indoor floors. One wheel comes with a locking caster to prevent the Plant Caddy from rolling off. Comes in a package of 2.